London had always been the end all travel destination for me — whether it stemmed from my deep-seated love of Harry Potter, or the fact that England seemed the epitome of everything charming. We made it the first stop on our European trip, since I couldn’t wait any longer. London was everything I had hoped it would be, and more, from its bustling streets, to red double decker buses, and soft pitter patter of rain creating a muted back drop for the city. I fell in love with the way the ancient old-world architecture collided with the new cosmopolitan, creating one of the major cities of the world. It was stuffed to the brim with culture, history, beautiful theater, art, street food, long walks, afternoon teas, charming backstreets, and dimly lit pubs. 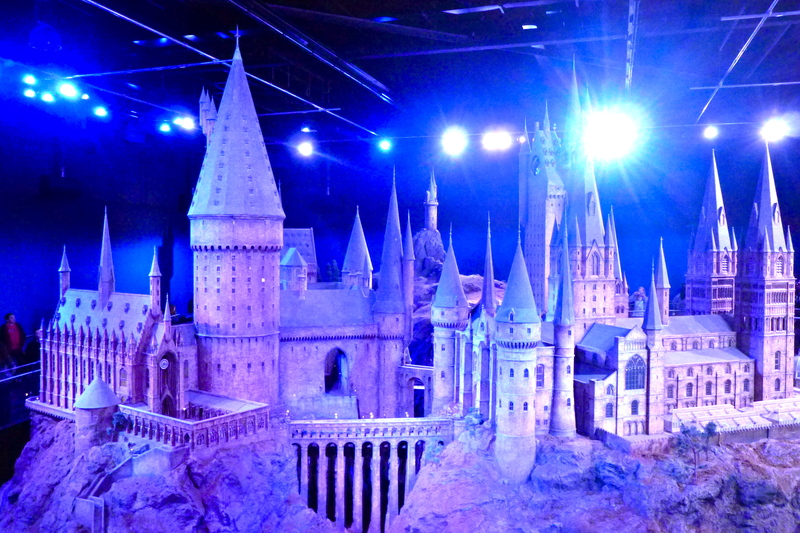 Here are some must-do’s to add to your bucket list for when you make it to London! 1) Take high tea at Harrods. Harrods is a huge department store in London that covers five acres and has multiple departments and restaurants inside. One of the restaurants is The Tea Room, where you can take in high tea. Out of all the high teas, this was our favorite that we came across. 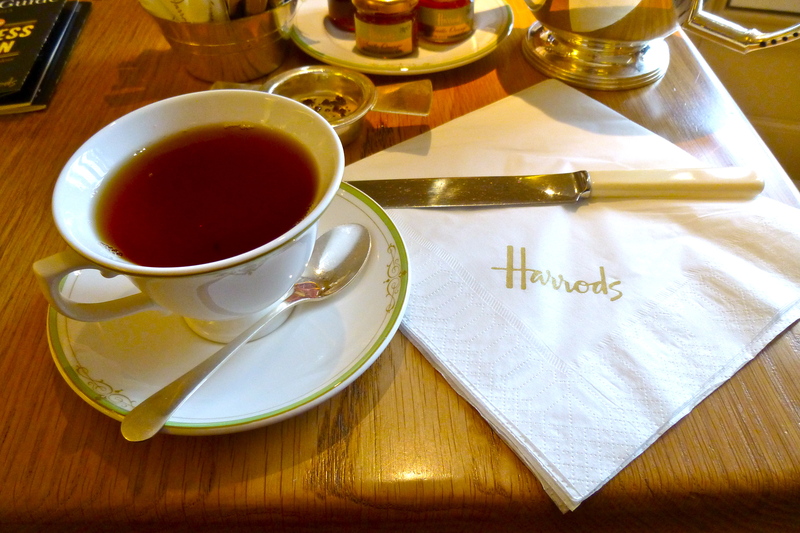 Harrods uses their fanciest china, loose leaf tea, and a delicious and reasonably priced menu. Their scones and clotted cream are definitely worth trying, and the overall experience is phenomenal. Check out the rest of Harrods while you’re there — I really liked the book section, with the London translation of the Harry Potter books and different cover art. 2) If you want to go inside Westminster Abbey, save your money. Its super expensive, and they have a daily church service for free that is an amazing experience that should not be missed. Check with the guards outside the Abbey for the daily times. 3) Frolic in Trafalgar Square. 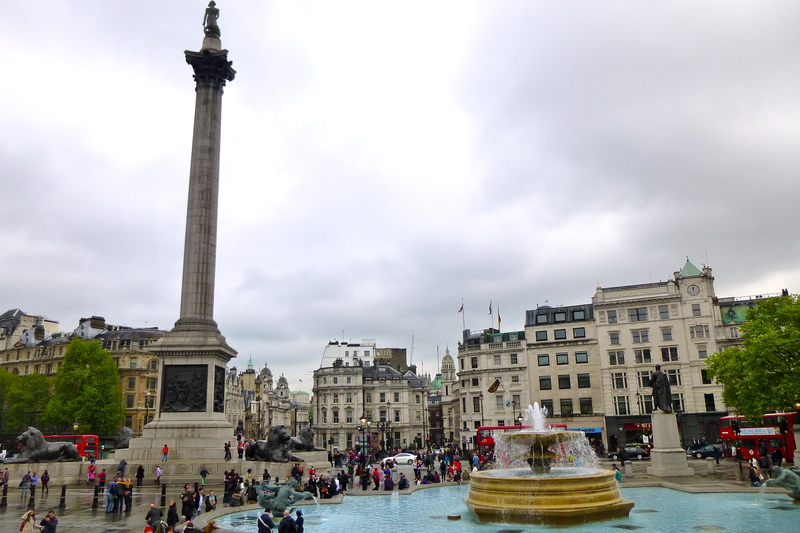 Trafalgar Square is a open space filled with statues, fountains, and The National Gallery. 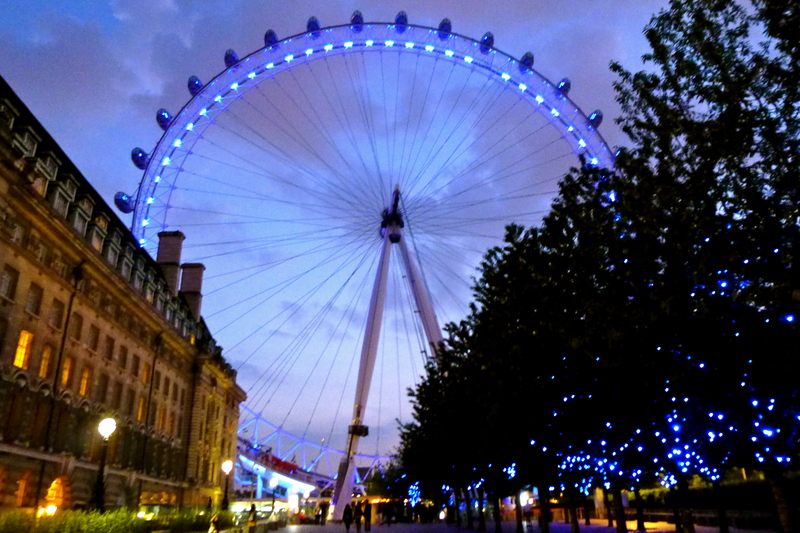 Its also one of the most beautiful places we saw in London, and a perfect place to people and city watch. David and I sat on the edge of one of the fountains for hours watching black taxi cabs and red double deck buses drive by as children played on the bronze lion statues. 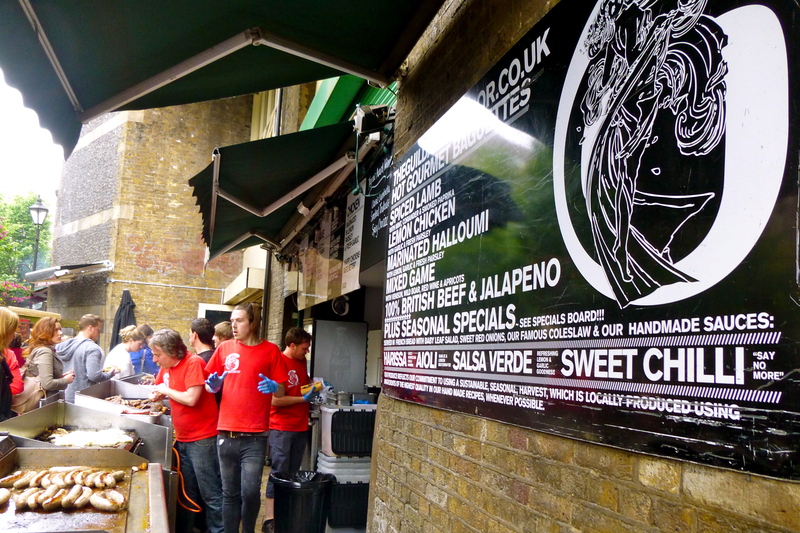 4) Head to The Borough Market. The Borough is part farmers market, part specialty food stands, and part local restaurant stands, all housed inside an old, crumbling building. It’s where we ate some of the best food we had while in England, and we could have spent hours looking through all of the stands. 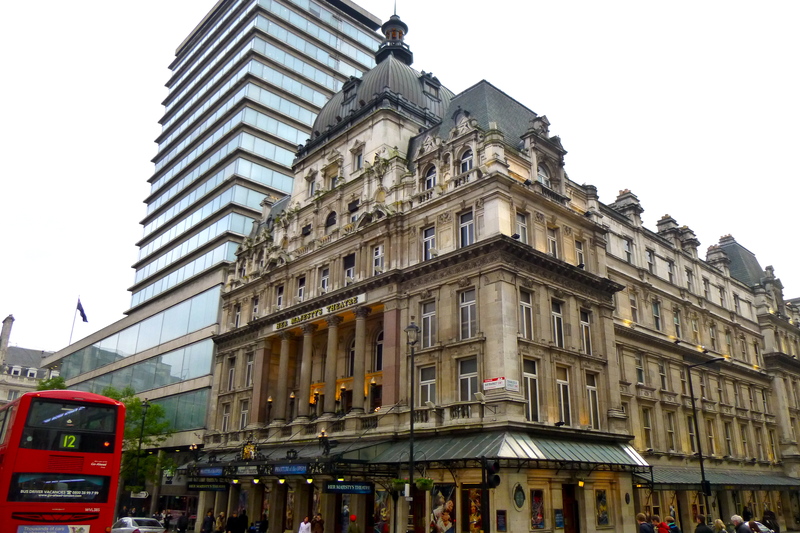 5) See The Phantom of the Opera at Her Majesty’s Theater. This is a bit of a splurge, but it was hands down the best activity we did while in London. Her Majesty’s Theater is ornate, old, and the inside is decked out in gold and velvet. The theater was also specifically designed for The Phantom of the Opera so the effects that they can do are spectacular. 1) London is going to be your most expensive city in Europe. The pound conversion is a killer, and everything is just more expensive than in the US. By staying in a hotel with a full breakfast, and packing a picnic for lunch, you can really save a lot of money. 2) Most of London’s major museums are free – the British Museum, the Tate Modern, The National Gallery, The National History Museum, and the Museum of London to name a few.